Welcome to the Health Enhancement Corporation website. We specialize in nutrition and wellness education for you and your family. As a registered dietitian (R.D. ), Debora Robinett is a nutritionist, experienced in teaching and motivating individuals to achieve their nutrition and health goals. Debora Robinett is the President of Health Enhancement Corporation and brings more than 30 years of experience as a professional, a busy wife, mother of three, and involved community leader to her practice. 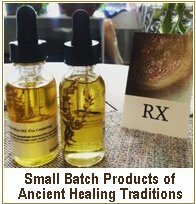 She has learned the practical skills and strategies for dealing with life’s challenges, whether it be a medical condition or simply seeking advice in the area of optimal health and vitality. Debora Robinett is a registered Seattle-Tacoma dietitian offering healthy recipes, nutrition and dietary information through the Health Enhancement Corporation. Debora's skills include nutrition and health promotion program development, individual nutrition counseling, and education of professionals regarding current issues in nutrition and functional health. Debora has been featured on radio and television and is known for her work with the Pierce County Safety Council, Port of Tacoma, the Western Washington Fair, the Governor's Industrial Safety and Health Conference, Regence BlueShield, local colleges, and many private businesses. She is the author of, Your Heart Diet Made Simple, and Ned Visits Food Land. Debora is also a contributing author to several health oriented publications. Her published articles number more than fifty. "Besides improving my overall health and body condition, you have given me the tools to keep my new body." Debora has been providing individualized diet counseling strategies for disease prevention, sports nutrition, prenatal, weight loss, heart health, cholesterol and blood pressure management, diabetes, nutrient supplementation and general nutrition. We hope you enjoy the site and Debora’s personal recommendations for you and your family. 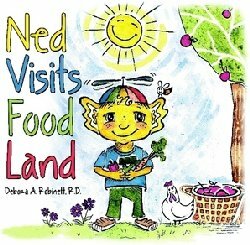 Click for more information on the book Ned Visits Food Land! How to Get Your Kids to Eat More Fruits and Veggies.